Church & Society: Justice For All? 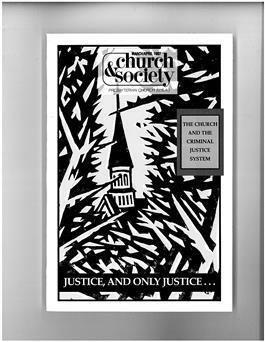 March/April 1997 Justice For All: The Church and the Criminal Justice System. Actual shipping charges apply to this order at the time the order is processed. Visit www.pcusa.org/acswp/church-and-society.htm"">www.pcusa.org/acswp/church-and-society.htm to download magazine covers and tables of content.